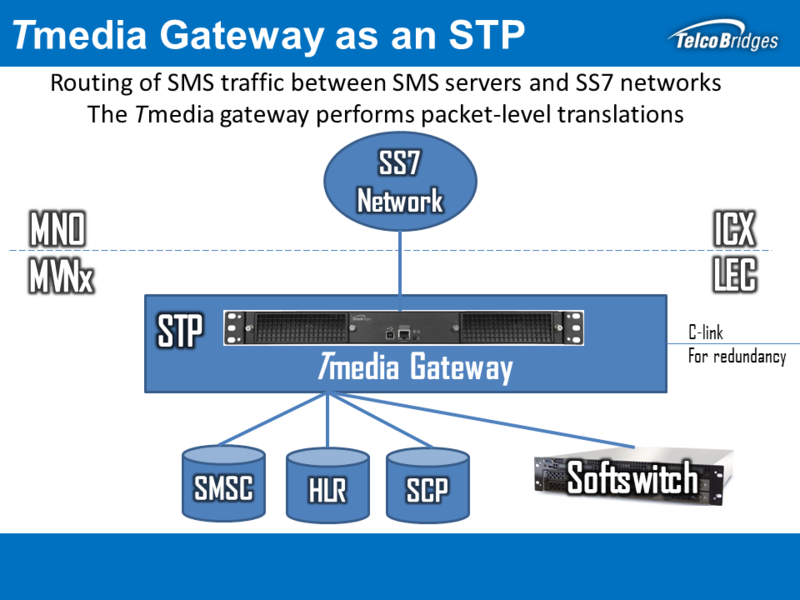 TelcoBridges's SMS solutions allow for the routing of SMS traffic between SMS servers and SS7 networks, are capable of SCCP routing, Global Title Translation, operating with high & low speed links, SIGTRAN, and are the markets most cost-effective solution available. Allows for the routing of SMS and other IN messages. With the ability to translate Global Title Translation our Gateway fulfills the role of the STP. Built-in SIGTRAN support allows for easy implementation into Next Generation (NGN) networks.